Perhaps one of the reasons Love has sought to stop TSG's dissemination of the Medical Board of California's report on Dr. Lusman is contained on page 16 of that document. According to the board's probe, Lusman first saw "Patient C.L." on June 25, 2001, when he reportedly made a house call. At this meeting, Love provided a patient history which included denials of "addiction problems and prior drug rehabilitation." Of course, by mid-2001, Love's previous history of drug abuse and rehab stays was well-documented--though the news somehow escaped Lusman. 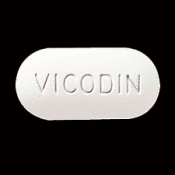 Following the June appointment, Lusman prescribed Vicodin ES (Extra Strength) to Love. The singer received another prescription for the painkiller in late-July and other drugs in subsequent months. Interestingly, in a March 2001 Us magazine special report on Vicodin, Love is quoted singing the praises--and perils--of the new celebrity drug of choice. "Everyone who makes it starts popping them," the rock star told the magazine. "It's the new LSD--Lead Singer's Drug," she added, "I did it. I loved it. I also ended up in rehab."